The centre has been a big hit with many of our guests – mostly famililes having a go at a new sport. 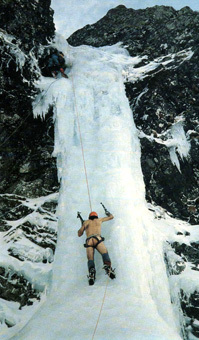 Chilly evenings on high mountains are no longer essential if you make the most of the superb indoor ice climbing wall! Its also a great place to either fine tune your skills or simply acquire some brand new ones, as instruction and guiding can be arranged. 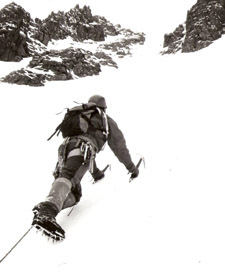 And of course, not forgetting Clachaig Gully, our very own route from the doorstep. However, the gully is rarely climbed these days. Maybe the idea of wet slimy vegetation covered walls and the occasional rockfall don’t have the appeal they once used to! Or maybe folk are just soft these days!